Sugary soft drinks spike your blood sugar and add several hundred calories to your diet, without making you feel full. Soda is just one type of soft drink; this category also includes fruit punch, flavored fruit drinks, energy drinks, sweetened tea and lemonade. Low-sugar soft drinks may be sweetened with artificial sweeteners, including acesulfame potassium, aspartame, saccharin and sucralose, or natural, low-calorie sweeteners such as stevia and its derivative rebiana-A. These low-sugar options can help you save calories and prevent dramatic changes in your blood sugar, but they may confuse your body's hunger signals and pose health risks. If you have a condition that requires you to limit your intake of sugar, such as diabetes, low-sugar soft drinks are a positive alternative to high-sugar drinks because they have minimum impact on your blood sugar levels. Low-sugar soft drinks are usually very low in calories, so they may also be included as part of a weight-loss regimen. 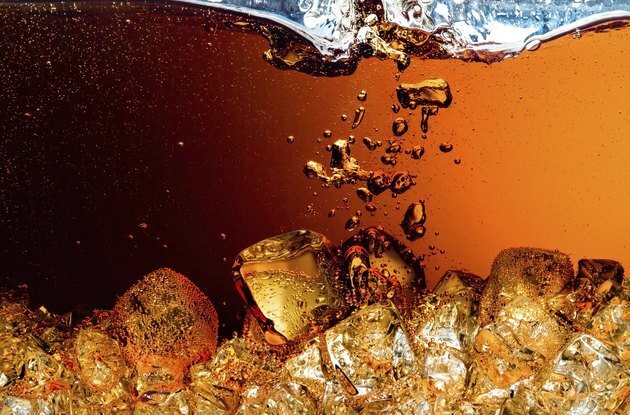 Artificial sweeteners in low-sugar soft drinks activate the reward centers in the brain that react to sugar, but they don't provide any substantial energy in the form of calories. As a result, your brain's ability to regulate energy consumption may become compromised. A 2014 study published in the American Journal of Public Health showed that people who consume low-sugar or no-sugar soft drinks, on average, take in more solid food calories than people who consume sugared drinks. The U.S. Food and Drug Administration has approved all nonsugar sweeteners used in low-sugar soft drinks as safe for consumption. The watchdog group Center for Science in Public Interest notes, however, that you may still experience side effects from consuming these products and that long-term health effects are unknown. Time: Should I Drink Diet Soda?